BBC Radio 5 live - 5 live Boxing with Costello & Bunce, Ogogo retires; Lewis v Holyfield 20 years later; Paulie v Conor bare-knuckle?! Ogogo retires; Lewis v Holyfield 20 years later; Paulie v Conor bare-knuckle?! Anthony Ogogo on his retirement, plus a look back on Lennox Lewis v Evander Holyfield. London 2012 Olympic bronze medallist Anthony Ogogo opens up on the devastating run of injuries that have forced him to retire from boxing at age 30. There's analysis of Daniel Dubois and Anthony Yarde's wins last Friday night at the Royal Albert Hall, and a look ahead to what could be the fight of the year so far - Errol Spence jr v Mikey Garcia. Then, former two-weight world champion Paulie Malignaggi joins the pod to explain why he's decided to join a bare-knuckle boxing promotion at age 37 - with the hope of luring UFC megastar Conor McGregor into a grudge match. 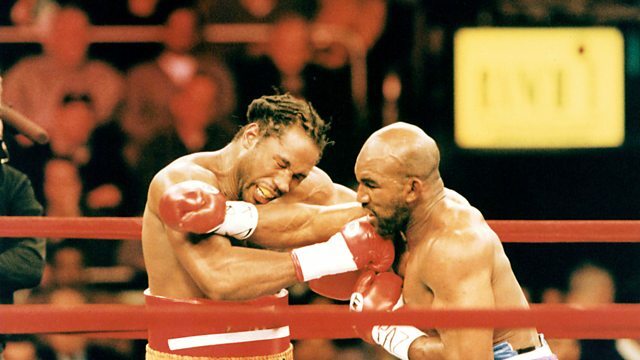 Finally, Mike and Steve look back on the controversial draw between Lennox Lewis and Evander Holyfield, which took place in New York City 20 years ago this week.